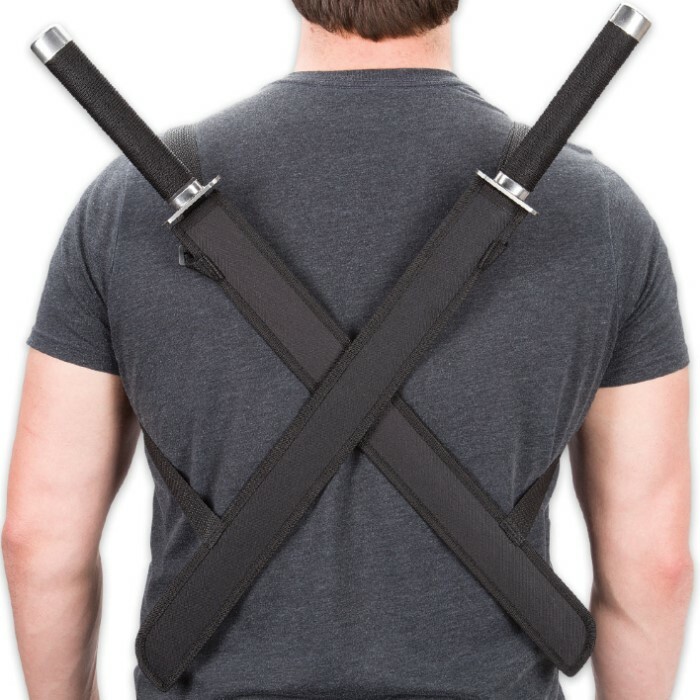 Strike fast and hard with these stealth ninja swords. You will receive a set of 440 stainless steel blades with tactical black finish, polished steel guards, and black nylon cord wrapped handles with accents. 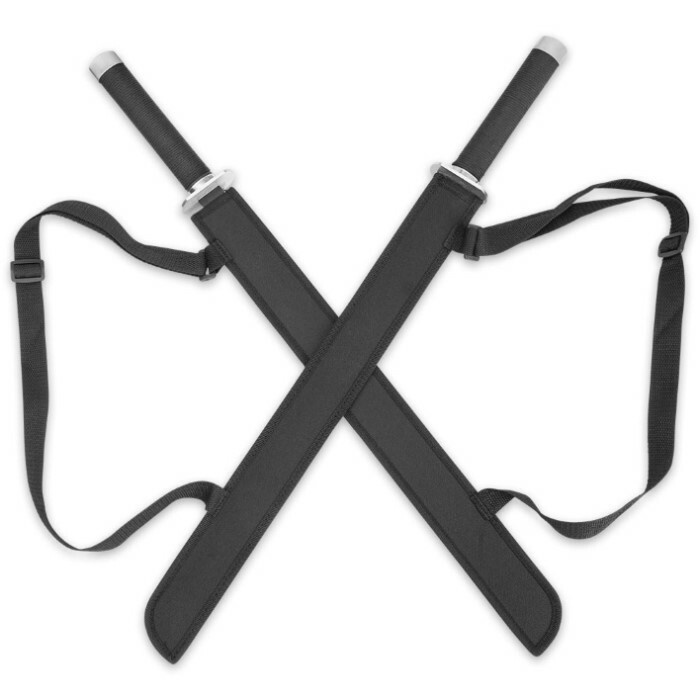 Includes a dual carry nylon back sheath for quick and concealed access. 18 1/2 in. 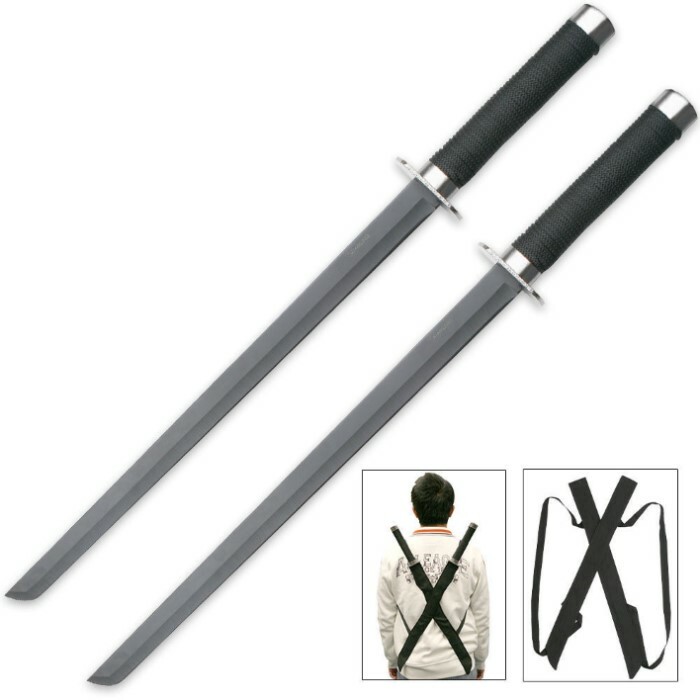 blade, 25 1/2 in. overall.